Many who drinks, drink anywhere and in every country. Supernumerary can say exactly who and how much. “Breathe deeply”, no, they didn’t and don’t molest to everyone. They use so called averages. Having casted aside national features and addresses of dislocation of “green serpent”, they had counted that in average society, in one way or another exists not just alcoholics. As a rule a layer from 1 to 2 percentages are people with epilepsy symptoms. Let’s count, from how many people is met an alcoholic epilepsy in physical quantity among Slavic people. How many of them, of people, are on a pyramid top, for example, in Ukraine? In Ukraine by the end of August it was counted about 45.5 million people. According to statistics from one to two percentages are epileptics. One percent from total amount is 45 000 people. Accordingly, do the math, how many is two percentage. And better – five. Of the order of such quantity of people live through seizures, at least once in a lifetime. The disease appears in the context of high temperature during the lingering chronic alcoholic illness. By the way, there is the same ration of chronic drug addicts. Supernumeraries together with scientists came to conclusion that every fifth passing through even one attack, immersing in an epileptic vacuum in course of time. That is to say that near one ill man is four completely healthy people, who could and had to help the sufferer. On the assumption of such database, it can be built a pyramid for clarity, in found of what are 45.5 million and on the top – not less than 45 thousands. It is not a few! It is characterized as a result of severe form of alcoholism. Notable features are unpredictable bursts of seizures. At first a human is losing consciousness. The face whitens much turning into cyanotic tones. There is froth at the mouth during the attacks. The vomiting worries often. During the attack a patient can bite the tongue. He backs to consciousness after the end of convulsions. The attacks exhaust the organism so much that after them a man goes out completely and sleep some hours. The people appurtenant to statistical four of healthy people, who have been got round by disease, should remember that if even one of them falls under such attack, it will be not the last one. The first epileptic attack opens the beginning of chronically recurrent period, when they appear, not depending from how much the patient has drunk or hasn’t drunk at all. The specialists illustrate a patient condition in this period as a consequence of sweeping changes in brain because of protracted tableful for a prolonged period. The alcohol in condition of drunken man booze starts the pathological process in central nervous system, which in the future will be escalated even in absence of alcoholic top-ups. consumption of alcohol denatured and alcoholic substitute. To a certain extent, it can be attributed to amount of subjective factors cranial traumas, coming out attacks of atherosclerosis and consequences of infectious diseases. The disease is dangerous because afterwards it can assert itself also on children health. It can appear in a child’s behavior after reaction of excessive excitation to exasperation, especially in body at high temperatures. Nearly 1-2% of adults with increase of cells central nervous system activity get a direct epilepsy attack with no apparent reasons. Adults should very carefully treat to their health. If one of them has already had one epilepsy attack, for six heirs of one hundred is predicted a fate of their parents’ footsteps. If mother and father had an epilepsy attack then the amount of potential patients increases twice. feeling of squeezing, twisting of the limbs. At neglected forms of disease epileptic attacks can be renewed again and again at short intervals. 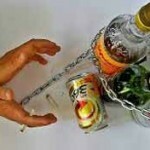 Some alcoholics in the morning feel burning sensation in the limbs without convulsions. Some alcoholics, ignoring the treatment, having switch on whole their willpower, quit drinking, and in a few days go into seizures. 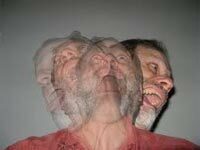 During the attacks the hallucinations appear, inherent to alcoholics. further progression of delirium tremens – rave, chills, temperature rise. A patient becomes angrier, touchy, nagging, the attention is distracted, other individual degradation complications appear. Every splash of disease manifestation is extremely dangerous. An ill human can fall and hurt, choke during vomiting and loss of consciousness. In such cases health encounter deferment fraught with unpredictable consequences. Except for injuries the disease is dangerous by influence on alcoholic’s psyche. It sorts well with alcoholism illness degree: ill man’s comments are lip-deep, range of interests’ narrows, job skills loosen. For alcoholics having been drunk to seizures, the sense of labor discipline is lost. They began to brawl, arrange up-and-downers at home and public places. The depressions increase with the desire “to quarter” yourself or to commit suicide. First it is perceived as grandstand play but in course of time the desire of alcoholic to move from simulation to threats implementation become stronger. As one of suicidal aspiration source the doctors call the loss moral and ethical principles, and also feeling of inferiority develops and increases over the years against the background of prolonged heavy drinking. 6-10 years tortures of the body with alcohol in 25-45 years can bring a human to epileptic seizures. There known cases, when they reach drinking man in a few years. Time of disease onset depends on physiological and physical characteristics of each person organism. That is why no one doctor says after how many of attacks, the epilepsy will become a chronic disease of one or the other person. The prime cause is brain organic lesion because of organism intoxication. The scientists pay attention to functional central nervous system changes at convulsive, abnormal muscle contractions and involuntary movements, and noticed unnatural electrical activity in brain. The nature of some types of disorders, not connected with epileptic seizures, is not fully investigated. Usually the diagnosis is made on the grounds of periodical attacks of convulsions against the background of prolonged heavy drinking on set of attributes and typical clinical manifestations. The doctors diagnose it as one kind of radical brain changes. But in this field the scientists have to open not one still closed page in medicine, because not all sources of illness are already studied. In spite of many years’ experience of attacks observing, which once popularly were called “falling sickness”, and now with short scientific term “epilepsy”, and it is still determined by primary symptoms of patient behavior. Human tendency to epileptic seizures is called this way. The definition is used in cases of visible and easily recognizable seizures of whole body involuntary spasms, seizures. The definition is not exactly characterizes the internal condition of a patient. Some specialists think that the phrase “seizure” is used by some specialists for easier perception by the patient and his relatives the diagnosis of “epilepsy”. In other words the first and the second definition should be perceived as kind of ball aside. And also they called pseudo convulsions. If we consider the processes, having the place in brain, then anomaly electric activity in it can’t be found at this stage. But it can be provoked by any psychological splash or stress. Such once-only convulsions can appear even during blood sugar reducing. If they were seen even in childhood, with adherence a young organism can itself manage with disease till first school bell. In order to determine if it needed medical intervention it is necessary to make thorough analysis of relapse. focal: the attack is controlled by some one part of brain. Depending on what type of epilepsy is established by the specialist the list and order of medical procedures is determined. For stranger the epilepsy attack is sudden and frightening. The ill human feels preliminary symptoms. It became cold or hot for him. Visual sensations change: different “points” and “figures” appear, the coordination of things sizes are disturbed, the auditory hallucinations appear, the mood can change harshly, the appetite rises or thirsty increases. A man can give a loud cry, fall and lose consciousness. A cry is caused by spasm of glottis and twitching chest muscles. do not try to open the jaw with hands, and to insert between them any flat or other object, wrapped with a towel or napkin. The convulsions will blow over on theirs’ Jack in a few minutes. After the attack it is necessary to give a patient an opportunity to shake the attack and has a good sleep. The patient often feels dizziness, weakness in the body after an epilepsy attack. In a five minutes or maximum in a half of hour, a man comes to life and he can be let to stand up from a bed. If epileptic seizures last more than 30 minutes or have a place to be periodically, it is necessary to call the doctor. The visit to a neuropathist is necessary. From French the word “absence” means small seizures. In medicine – is one of the epileptic seizure symptoms, when consciousness suddenly goes out for a short time: a human dies away, gazing somewhere in front of him with no emotion on his face with complete lack of reaction on external stimuli. Such condition lasts seconds, after that human mental activity restores completely. Because of their brevity the seconds attacks, as a rule, pass imperceptibly. If somebody has noticed such changes in a human behavior, it is better to not touch him and wait till the attack is passing and a human recovers. They are accompanied with a human behavior “in autopilot mode”. A patient stops consciously control his moves and perceives what is happening around as in false mirror with curving. A feeling of fright appears and unexplained feelings. 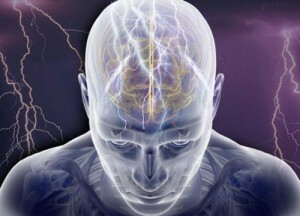 Such condition of a human, suffering from epileptic seizures, is met rather often in practice. Unfortunately, after its end the amnesia can be developed with typical signs of epileptic seizure end. Alcoholic epilepsy – is a disease, which can be got rid from. First of all, the refusing by a patient from alcohol helps to it. If a drinking man, one day deciding not to drink, will keep his word, the chance will appear that the epileptic seizures aren’t recurred. And if a patient tries to deceive the doctors and the relatives, the epileptic attacks will not just stay and even will recur by series, because it’s impossible to fool your organism. Prolongation of brain poisoning with an alcohol enhances negative processes so much that subsequently the real refusing from alcohol will not help already to get rid from alcoholic epileptic seizures. No matter how events develop, at manifestation of the first epileptic seizures symptoms it’s better to show the patient to a doctor. The earlier the manipulation treatment begins the more chances for a good result. 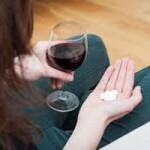 For treatment of alcoholic epilepsy is needed a lot of time. There is no other choice, because the cease of manipulation treatment halfway turns into more severe recoils to the way of health impairment. 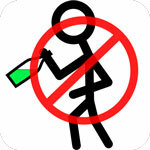 Family and friends have to help patient to refuse from a drunkenness, to sustain recovery regime. There are unacceptable any reservations and derogations. It makes no sense to add to manipulation treatment viewing of movies and videos from internet with stories of disastrous consequences of alcoholic epilepsy. “Scary movies” can make the expected effect just on a human health. The disturbances in a ill human brain blocks his abilities to assess the situation and don’t let to understand that it concerns the patient, i.e. him personally. There are little chances for a full recovering from epilepsy consequences. But the hope for a maximum recovering of mentation is very high. 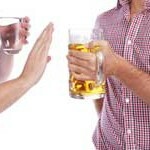 The road to recovering is cleared by complete rejection from alcohol. The process of returning to a normal operation of organism functions, first of all, depends on organism features and adherence. All special editions and publications call as required condition of full recovering one thing – full refusal from alcohol. If the trouble hasn’t settled yet in an organism, make everything to prevent it. And if it is already accomplished fact, so find the strength of making a step for returning to the track of normal relations with relatives, friends and people around. Using teamwork let’s remove the top of the pyramid and reduce it , bringing the community closer to an ideal, without sins and pernicious habits.